There is one month until cannabis is legalized in Canada. 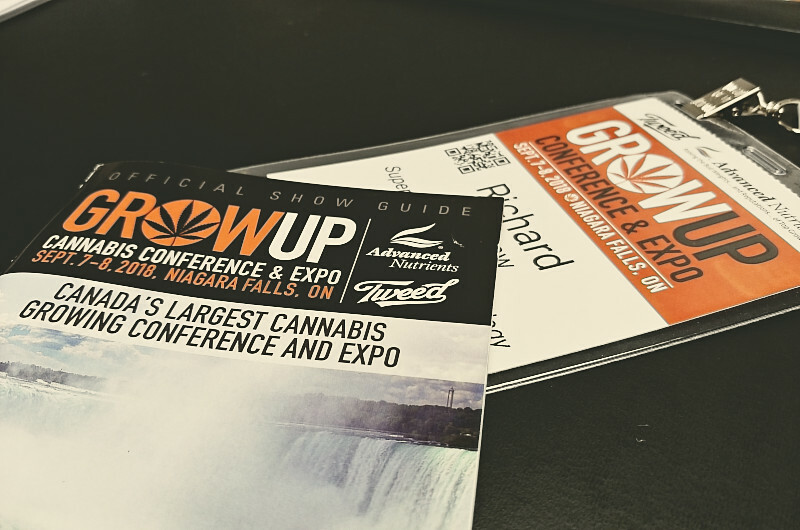 Judging by the activity that took place at the second annual Grow Up Conference and Expo from September 7-8, 2018, one can be excused from thinking that this has already happened. Hundreds of vendors were set up in the expo hall. Thousands of attendees have made their way to Niagara falls. It is apparent that an entire industry is gearing up. Nucro-Technics is no exception, which is why we’ve been attending these conferences so that we can take the pulse of the industry and see where things are going. Given how quickly everything is moving with draft legislation being released at the federal level, and with things at the provincial level being a bit less certain at this point in time, many companies are still gearing up and trying to find out what direction everybody is moving in. Given how other similar industries have evolved, there is a lot of confidence that in the long term we will end up with a few very large players that will dominate the industry, and with smaller organizations that will fill in the niches. With that being said, things will look different in the short term. Lots of companies will be trying to carve out a piece of the market for themselves. Much volatility is expected. With that being said, all of the marijuana licensed producers, makers of cannabis-infused food and beverages, and organizations using THC and its derivatives for some sort of therapeutic purpose will have one thing in common – all of their products will need to be tested for potency, pesticides, bacteria and mold. If you are a Licensed Product looking to meet the testing requirements of the Cannabis Act, Nucro-Technics can help you. Nucro-Technics has been in business for almost five decades and we have been testing product for the pharmaceutical, medical device, biotech, and cosmetic industries from the very beginning. Testing of medical marijuana and other cannabis derivatives is something that we have been doing since before this industry existed. Not only can product in all forms (dried leaf, oils, capsules, lotions/creams, patches) be tested at our facility, but we are set up to do this work to pharmaceutical standards. This is something that very few companies in the industry can claim. Learn about Nucro-Technics’ complete range of services for the testing of cannabis for medical purposes.